Matamata trainer Jim Collett is confident that Katie Perrie can make her mark in good middle distance company. He has high expectations of the Rock ‘n’ Pop four-year-old, who is unbeaten in her last three appearances. 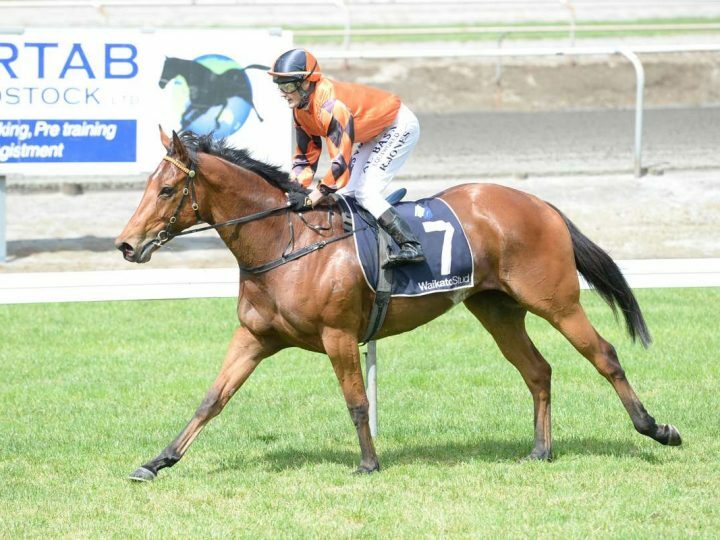 She cleared her maiden over a mile on her home track and followed up over the same trip in Rating 65 grade at Tauranga. Kate Perrie stepped up in trip again at Te Rapa this afternoon for her winning run to continue in Rating 72 company. “As I said the previous time, I couldn’t wait to run her over 2100 metres,” Collett said. Katie Perrie is from an international family that includes the Japanese Group Two winner and Group One placegetter Meisho Beluga.